It’s 5:55am Berlin time and almost midnight New York time. It’s been light outside for around two hours now, and my body is terribly confused. 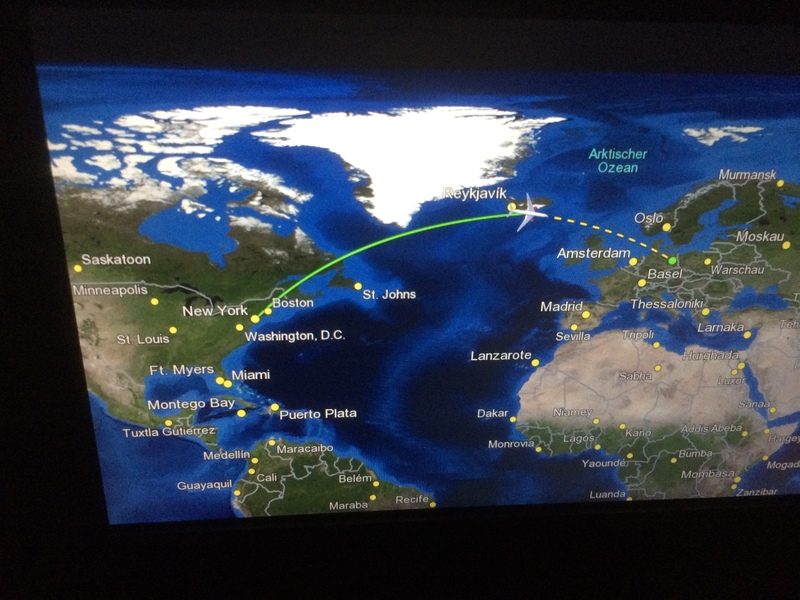 There’s almost no turbulence during our flight across the Atlantic. Is this because we’re in a bigger plane than those to which I am accustomed, because we’re flying over water (so the weather behaves differently), or because we’re traveling at just below 40,000 feet (and there’s less resistance in the atmosphere up here)? I’ve been taking notes about airspeed and temperature all night (often ~500-600mph and around -80°F) because I’m an odd person and I can’t really sleep with so little wiggle room. I watch a few episodes of House of Cards before we land; I tried to find it on the airplane’s entertainment system in German with English subtitles, or vice-versa, but to no avail. The grey skies and cooler air are a difference in weather for which I’m grateful after days of searing heat and humidity over the last week. I am hopeful that the local Germans will be as entertained by me as I would be by a foreigner trying to speak my language and asking me for help finding their way around my own town. I am what I imagine were immigrants landing a century ago on American soil: I see this as a land of great opportunity – not for a job and a home, in my case, but to learn about another culture and soak in the differences wherever I can find them. I am blinded by my optimism, especially in light of and in contrast to my jaded cynicism about my own country. I love my homeland, but I love it like I love everything (apart from my fiancé): I do so in spite of obvious and terrible flaws. Germany, on the other hand, appears to me a perfect vision of continuous progress and improvement. It’s the ancestral home of the greatest composers, philosophers, and scientists over the last two thousand years. Simultaneously, it still reels psychologically from atrocities committed by its most average of native residents within the last century, and the efforts on the part of the people to deal with this more recent past is endearing and moving. 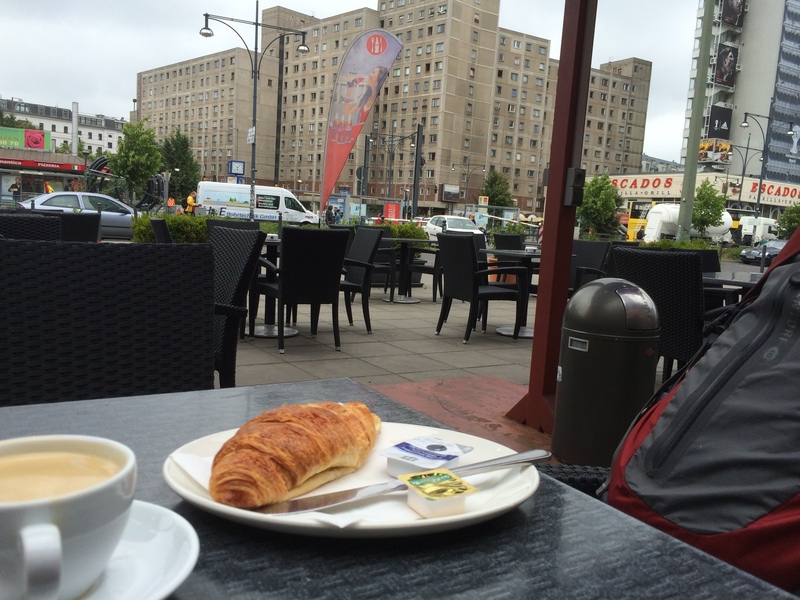 On my first day in Berlin, I drink cappuccino (twice during the day) in a café near Alexanderplatz, find my hostel and am permitted to check in very early (10am), and wander almost aimlessly until I can’t help but to take a two-hour nap in the afternoon. My plan to stay awake through the day doesn’t work, but I do manage to muddle through most of it without hurting myself. I awaken from that nap to my dorm-mates for the night: three German first-year university students here in the city to partake of its well-known nightlife. I don’t explain that such pursuits are antithetical and distasteful to my interests; everyone has her/his own desires. I’m here to read, to walk, and to write. This is what pleases me. 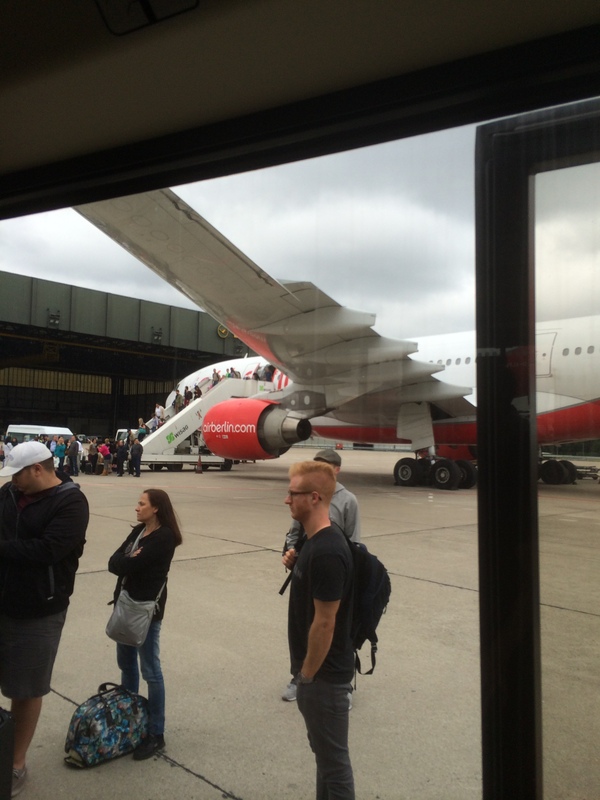 This entry was posted in Travelogue and tagged air travel, Berlin, Culture, germany, travel, travelogue. Bookmark the permalink.